ANGKOR has Bagan beat on this for sure. 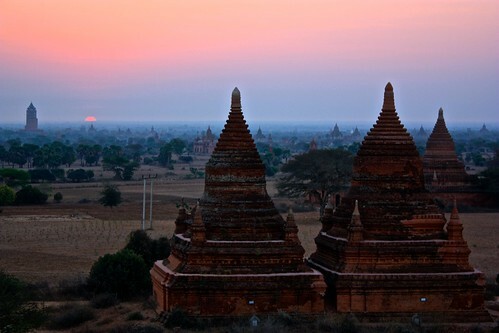 You'll see exquisite stucco decorations and elaborate complexes that you simply can't find in Bagan. 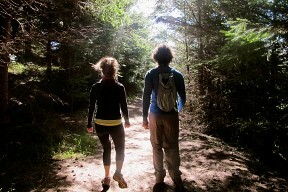 Where else in the world can you feel like you're in that Nickelodeon show from the 90s? Plus, all the nature overtaking architecture stuff is pretty cool! In other words, BAGAN wins for affordability. Unless you count being harassed by children who want to sell you anything from coconuts to flutes as fun, then I'd say BAGAN has this one. Sure there are sand painters and postcards, but once you say no, they leave you alone. Sometimes they even show you around the temple and explain the history. 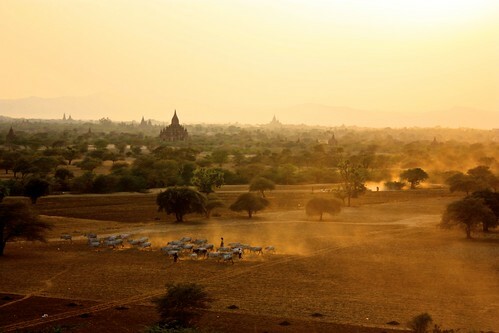 Burmese people visit Bagan for the same reason you do, and they're excited when they see you there. They don't want to sell you things; they want a picture. In Angkor, you're constantly pestered by people who follow you around from the minute you step off your bicycle or tuk-tuk. It really ruins the experience. ANGKOR takes this one. As with all hotels in Burma, Bagan's are overpriced and crappy. In Siem Reap, we stayed at the new Magnolia d'Angkor Boutique. For $25/night (a negotiated rate based on the stay 3, pay for 2 night special they're running), we had a beautiful new room, a nearly empty infinity pool, huge breakfasts, fast wifi, and AC that always worked! The resort does have a few kinks to work out—the free bicycles were either locked up or had flat tires when we first arrived; there's no towel bar in the bathroom and no full length mirror in the room; and breakfasts varied based on who cooked them—but for $25, who can really complain. Once the bike issue was sorted out, it took less than 5 minutes to get to town. We also used the bikes for all our sightseeing. 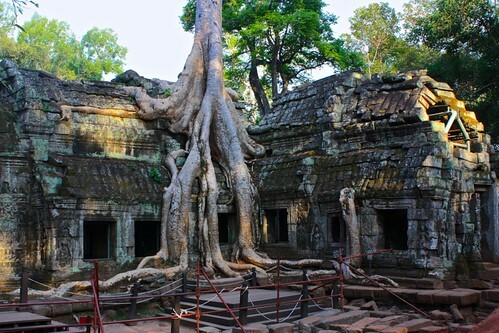 Hmm... this is a tough one, but I think it goes to ANGKOR/Siem Reap. 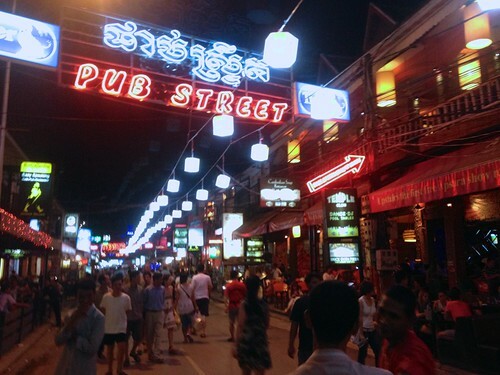 Bagan had its Restaurant Row, but Siem Reap has 50 cent drafts and a TON of restaurants that range from tourist to authentic to gastronomic. Some of our favorites were For Life (alley behind pub street), Home Cocktail (street after pub street), and Touiche. Our dinners usually ran about $10, but that included an appetizer and beer. One place that's supposed to be amazing that didn't quite make it into our budget was Cuisine Wat Damnak (sp?). Fixed prix meals are $19-$24, which is a ton cheaper than a restaurant of that caliber in NYC or San Francisco. Angkor wins by a narrow margin, but I don't think that tells the whole story. 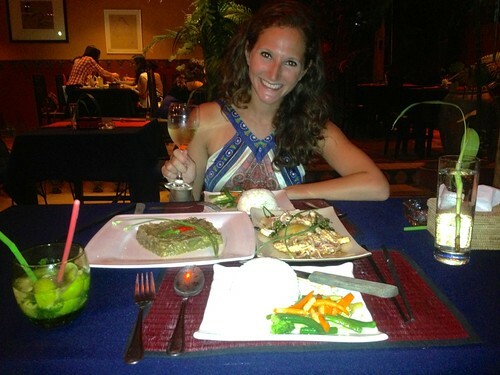 Unless you have extended time to travel like we do, you'll likely not want to spend your whole vacation in Cambodia. 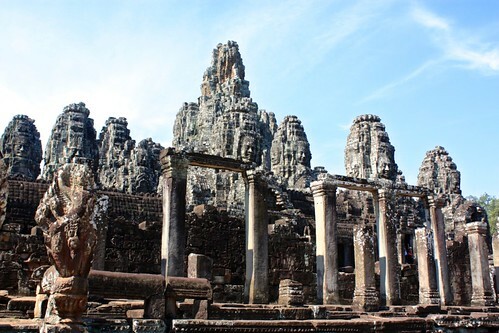 That means you'll visit Angkor Wat from Thailand or Vietnam, which means extra transport and visa fees. Bagan, on the other hand, is in Burma, which remains one of the most interesting places we've ever been. If you have two weeks, you can not only see these ruins, but see the idyllic Inle Lake and experience some Burmese culture, which has been hidden from the world for so many decades. In other words, if I had limited time and had to pick one, I'd go with BAGAN! Happy travels! Interested in seeing Angkor Wat and Bagan without paying for a planet ticket? Check out our Angkor Wat photo tour and Bagan photo tour. Have you been to both Angkor Wat and Bagan? What is your opinion? Let us know in the comments!